At least 1 100 people have so far been arrested over violent protests that rocked the country last week. Statistics released by the police show that the suspects were arrested in all the 10 provinces, with Bulawayo topping the list with 441 arrests. The suspects were arrested for looting, malicious damage to property, assault, public violence, obstruction of movement of traffic among other offences. Two were arrested for murdering a policeman in Bulawayo. Police chief spokesperson Commissioner Charity Charamba said the police were leaving no stone unturned in their bid to arrest all offenders in last week's violent demonstrations. "We will not rest until all the offenders who caused chaos last week are brought to book," she said. Comm Charamba said of the 441 people arrested in Bulawayo province, 118 were picked up for looting. At least 382 of the suspects have since appeared in court on various charges. In Harare, 249 people were arrested with 247 of them appearing before the courts this week, while two minor children were released into the custody of their parents. Midlands province recorded 201 arrests and 95 of them paid admission of guilt fines, 93 were remanded in custody while 13 were still in police custody. Police arrested 121 in Mashonaland West province, of whom 75 were from Makonde, 14 from Hurungwe, 30 from Kadoma and two from Manyame. In Mashonaland West, 49 have since paid admission of guilt fines. Manicaland recorded 30 arrests and the suspects have since appeared in court. 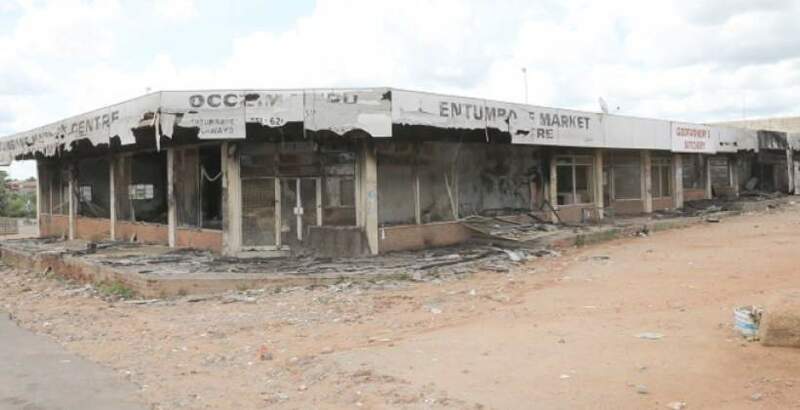 In Matabeleland North, 11 people were arrested with one having been sentenced to six months in prison for public violence. Mashonaland East and Mashonaland Central recorded 21 and 16 arrests respectively, while five were arrested in Matabeleland South and eight in Masvingo. Comm Charamba said some looters were now dumping their loot for fear of being tracked by the police. "Some are now dumping their loot for fear of being arrested. In Bulawayo, property was found dumped at a dumpsite by the suspects who feared arrest. "This is a clear testimony that there are no dragnet arrests. People are being arrested for their offences," she said. Meanwhile, police have warned parents against roping in minors in protests after some hooligans used children below the age of majority as shields during violent demonstrations instigated by the MDC-Alliance last week. In an interview, Comm Charamba said children were involved in looting, acts of arson and violence. "Parents should not allow their children to participate in violence. In some cases, violent protestors would use children as human shields when they clashed with the security forces. "Women would be placed on the second row while the violence architects, who appeared to be men, would be at the back. "That is dangerous and is tantamount to exposing children to violence. It also destroys their future," said Comm Charamba. According to police statistics, at least four juveniles appeared in court in Mutare and Harare over offences committed during last week's violent scenes. However, Comm Charamba said out of respect of the children's rights, the juvenile suspects had to be released into the custody of their parents when the adults were locked up in remand prison. Two were released at the Harare Magistrates' Court on Monday while another pair of juveniles was granted bail in Mutare. "We respect children's rights and there was no abuse in the arrest of the juveniles. Unfortunately, our law does not exempt the juveniles from arrest. They had to be released into the custody of their parents," she said. The police said some women with babies strapped on their backs committed offences during the protests. Video evidence, Comm Charamba said, showed some teenagers bragging over stealing alcohol. "Some video clips circulating on social media show a teenager bragging over stealing Glenfiddich whisky from Choppies supermarket in Mabvuku. "He will definitely be arrested for theft," she said.